Although there is a federal ban, many states now allow for medical and recreational marijuana to treat pain, nausea, and other symptoms. Medical marijuana is marijuana used to treat Marijuana is made from the dried buds and leaves of the Cannabis sativa plant. It can be smoked, ingested in food or tea, or inhaled. Medical marijuana is also available as a pill or oil. Within the U.S medical marijuana – also referred to as medical cannabis – is legal in growing number of states for recreational and medical uses for easing the pain as well as treating some diseases. Depending on the reason that a person is using medical marijuana, treatment may only be short term or it can continue for several years. Medical Marijuana is not Legal under federal law. Marijuana is a Schedule 1 drug under federal law, and the federal law regulating marijuana supersedes state law. Due to the discrepancy between state and federal laws, people may still be arrested and charged with the possessions in states where medical marijuana use is legal. Each states that has legalized medical and recreational uses of medical marijuana governing who may use it and how the product is issued within its borders. Some states have methods for certifying and given within its borders. Some states have rules for certifying and registering eligible people. Some states have designated dispenses or medical or recreational centers, where people can receive the product and advice on dosing and what form to apply for their condition. Studies report that marijuana has possible benefits for several different types of conditions. State laws vary in which conditions qualify people for treatment with medical marijuana. If you are considering marijuana for the medical use you should check you states regulations. Multiple sclerosis or severe muscle spasms. If you are encountering uncomfortable symptoms or side effects of medical treatment, specifically ease or pain, you should talk to your doctor before trying marijuana; Doctors may consider medical marijuana as an option if other treatments have not helped. 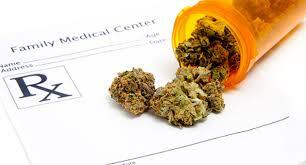 Is Medical Marijuana available as prescription medicine. They can be lawfully prescribed for the treatment of nausea and vomiting induced by chemotherapy when different treatments have failed. Dronabinol may also be utilized for the treatment of anorexia-related with weight loss in people with AIDS. What can you expect in the different forms of Marijuana? How and where you can purchase these substances legally varies among the states that allow you to legal purchase marijuana. Once you have the product you administer it yourself. How frequent you use it will depend on the form of the marijuana and your symptoms. Your symptoms relief and side effects will also vary. You may notice that taking marijuana may affect you within 30 minutes or take hours. The extent of and time that the effects will have on you are harder to control with pill form than just smoking. Some medical marijuana is formatted to provide symptom relief without the intoxicating, mood altering effects associated with the recreational use of marijuana.